So What’s Wrong with One Man Owning all the Media Anyway? 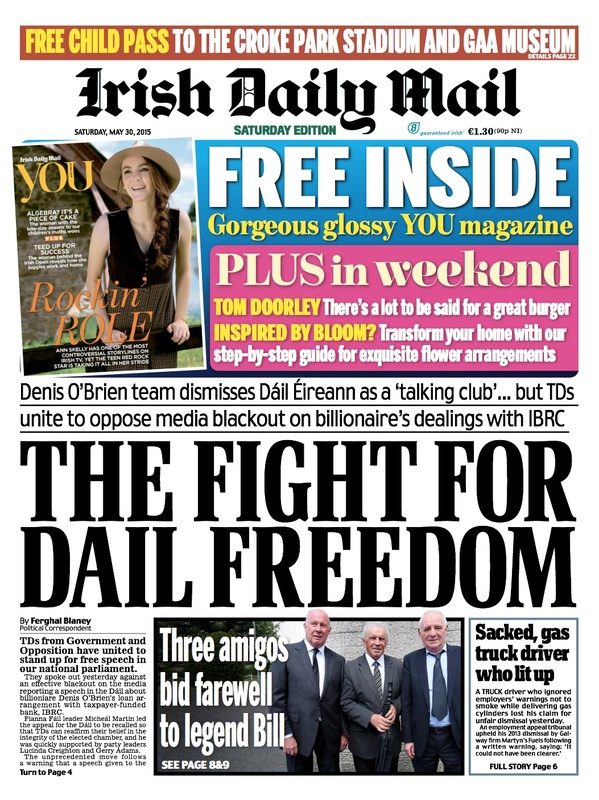 Today’s Irish Examiner, Irish Daily Mail and Irish Times front pages all ran with the ongoing story of Denis O’Brien’s unprecedented attempts to gag the media from reporting Dail speeches; normally covered under Dail Privilege. While the press has been gagged from reporting the words of Catherine Murphy TD, the story has exploded both nationally and internationally and acted to expose, in the clearest fashion, the dangers of media concentration and oligarchical ownership. 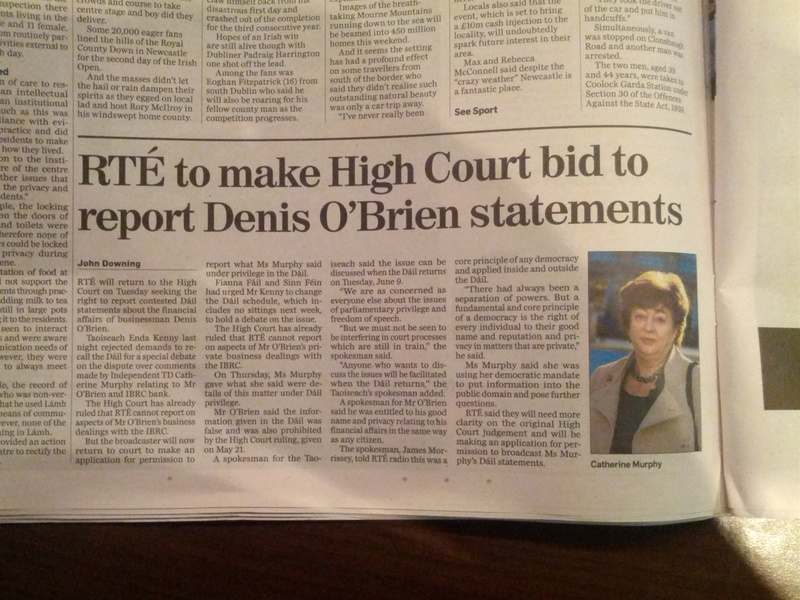 Whilst various journalists, editors and broadcasters working in the O’Brien empire have claimed that O’Brien does not interfere in editorial matters, it is now beyond credulity that the man who has successfully gagged RTE, The Irish Times and has threatened Broadsheet.ie with legal action does not interfere in the papers and radio stations that he owns and controls. Today’s O’Brien owned Irish Independent is a clear example of this; whether O’Brien directly interferes or his editors are well enough house trained for him not to need to has little relevance, today’s Indo speaks for itself. 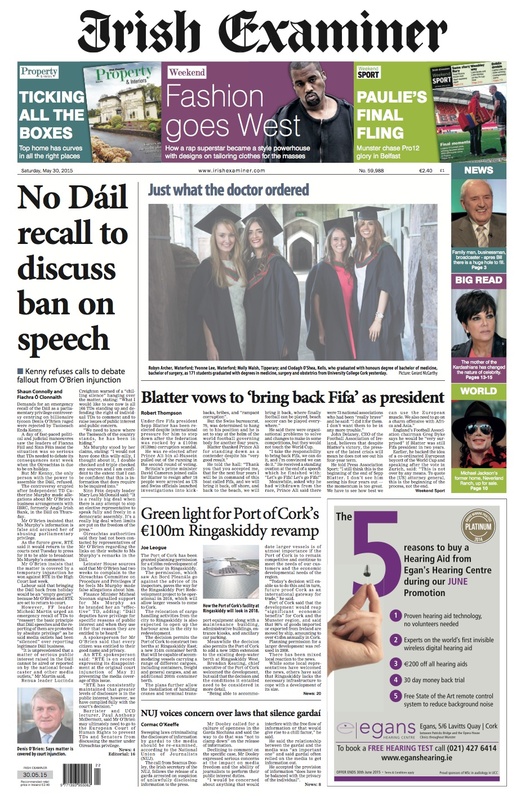 The front page, unlike the Times, Examiner and Mail is not concerned with the constitutional crisis involving Dail privilege and press freedom. 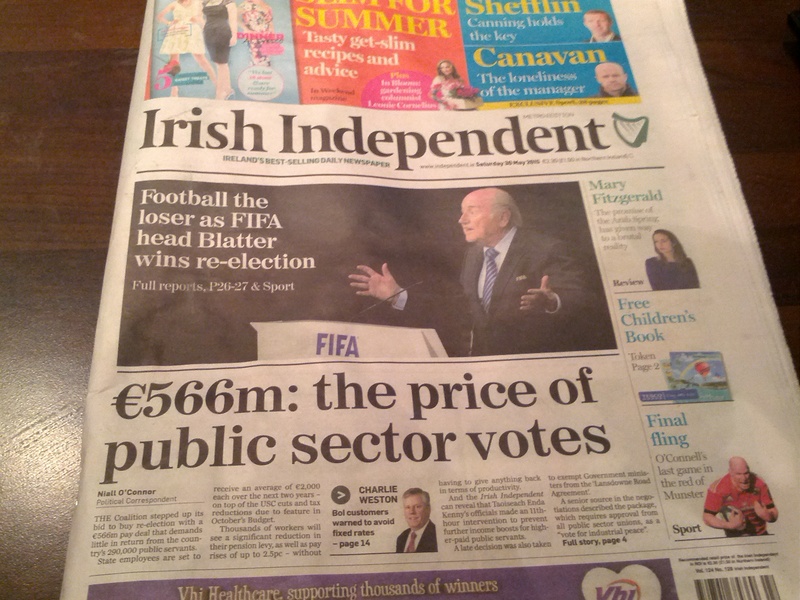 Rather, the Indo returns to its old favourite of attacking public sector workers for the possibility of getting a 2% pay ‘increase’. The front page article does not use the expression ‘pay restoration’ framing this as a pay increase rather than a extremely modest restoration from cuts of at minimum 14%. 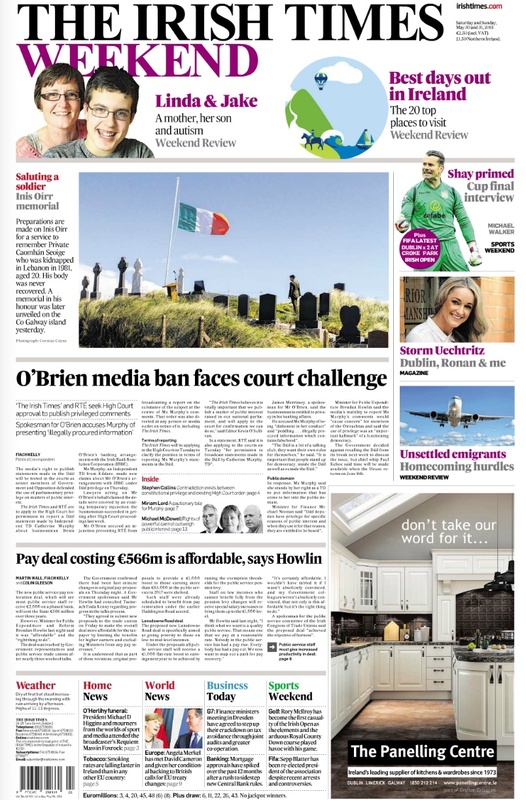 The paper doesn’t seem to hold the same concern towards the monies the state lost on the Siteserve deal, the very story O’Brien lawyers are busy gagging. To get to the story of the week we have to wait until we get to page 22 where we are met with a short news report and no editorial comment. The Saturday weekly political supplement contains nothing on what is probably the most important media story since Section 31. It is also worth remembering that O’Brien’s company Siteserve (at the centre of this scandal) has received contracts from Irish Water, It is also worth remembering that O’Brien’s media empire has led the way in support for the charges as well as demonisation of the movement opposing the; a conflict of interest worthy of an editorial or two one might think? 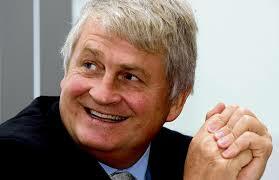 The Irish people are being denied the right to know about serious allegations being leveled at prominent Irish businessman and billionaire, Denis O’Brien by virtue of a High Court injunction forbidding RTE from broadcasting a programme about his controversial purchase of the infrastructure and utility support company, Siteserv. In particular the programme is believed to have investigated his dealings with the liquidator of Siteserv, Kieran Wallace and the CEO of the Irish Banking Resolution Corporation, Mike Aynsley. Mr O’Brien’s road to a business fortune began when, according to the Moriarty Tribunal, he almost certainly greased the palm of Government Minister of Communications, Michael Lowry in 1995 to secure a lucrative mobile phone contract on behalf of Esat Digiphone, a consortium he headed. A recent interview with journalist Gene Kerrigan, conducted by David Manning of MediaBite, was titled ‘Ireland’s invisible, but omnipresent, right-wing’. In it, Kerrigan noted how mainstream Irish politicians were seldom referred to as right-wing in the media, even when their policy approach was the same as the likes of Angela Merkel, and how the outlook of political correspondents was the same as that of mainstream parties, but they are seldom referred to as right-wing journalists. Kerrigan’s claim about the description of politicians can be verified by a simple test. 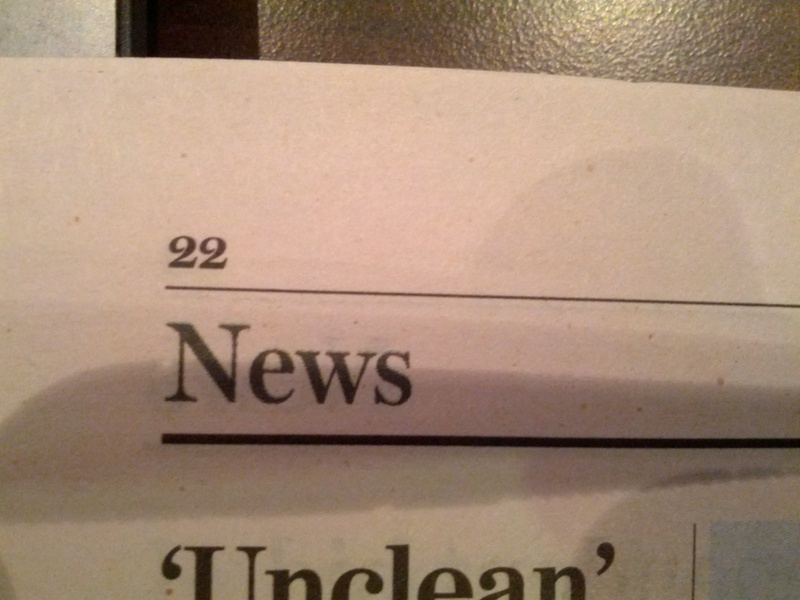 A Nexis search of Irish news sources for “Clare Daly” in the past year returns 495 results. 22 of these, or 4.4% contain the adjective “left-wing”. A big day for the Irish Times as the property section has overtaken the news section for the first time since… well for the first time since that nasty business. 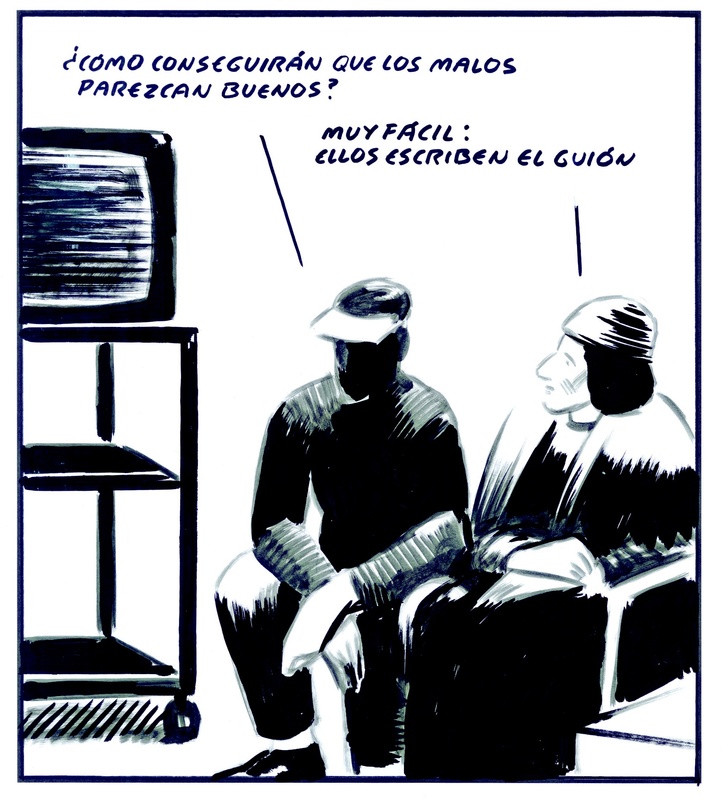 As it stands rents are rising, evictions are increasing and journalism is thriving. Expect to see lots of articles on why landlords need tax incentives, why developers need to be forgiven and above all why rent control is impossible.